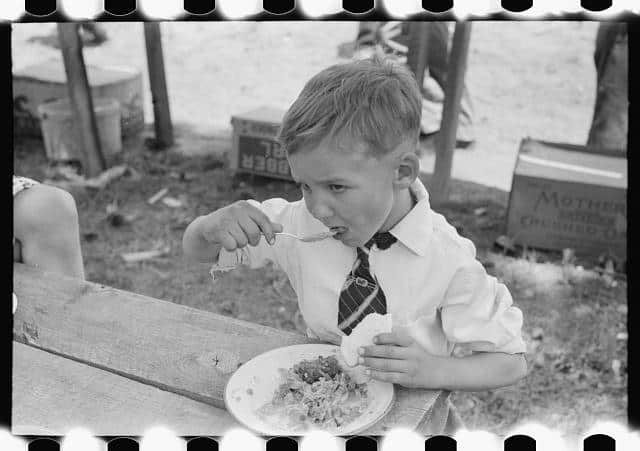 What better way to celebrate Pi Day than with some historic American pie photos, Enjoy! 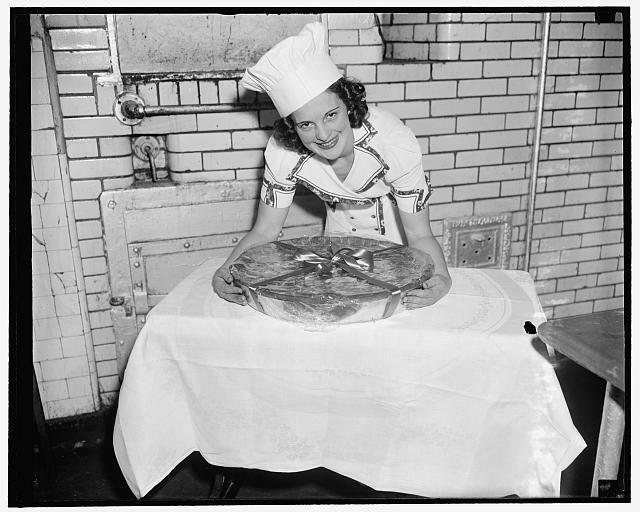 1939 – Putting finishing touches on 30 pound cherry pie for president. Washington, D.C., July 6. 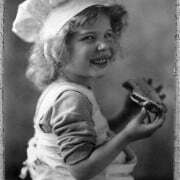 Nineteen year old Jean Halmond, Queen of Michigan’s National Cherry Festival to be held in Traverse City, gives a final once-over to the 30 pound cherry pie which she later presented to President Roosevelt at White House. The pie was baked under the direct supervision of Miss Halmond. 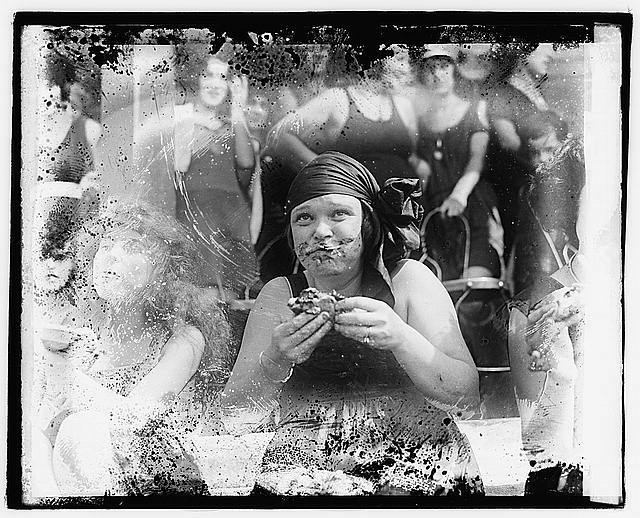 1921 – Mrs. Vincent Cosamano, pie eating contest. 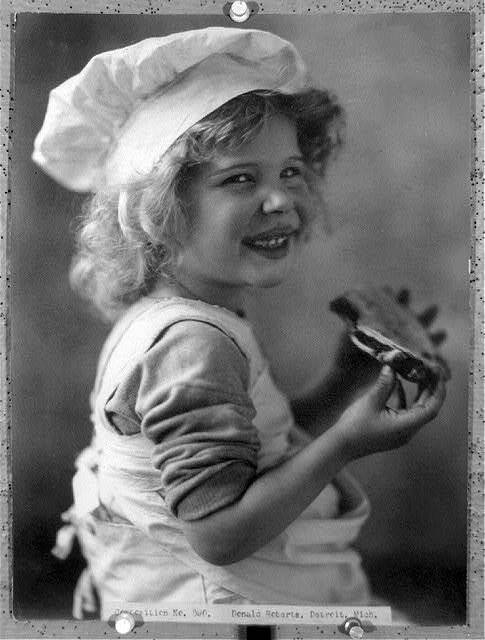 1899 – Girl with a smile, wearing baker’s hat and apron, and eating pie. 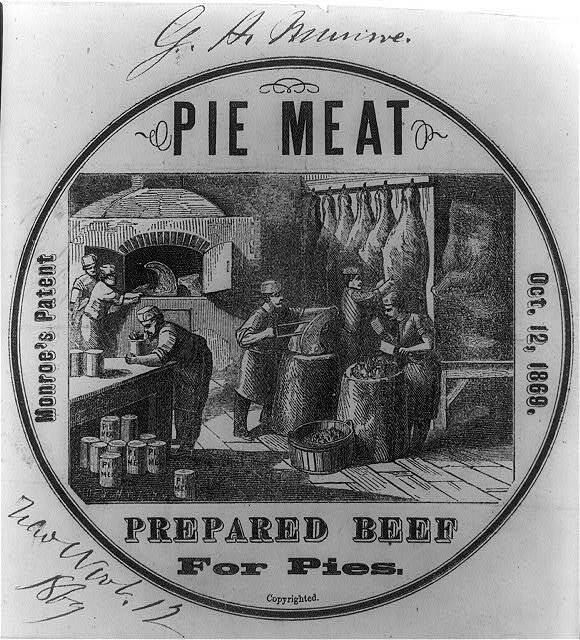 1869 – Monroe’s patent pie meat – prepared beef for pies.